Lounge about resort style in the Stella McCartney™ Drawstring Tunnels Long Dress Cover-Up. Striped and chevron pattern throughout. 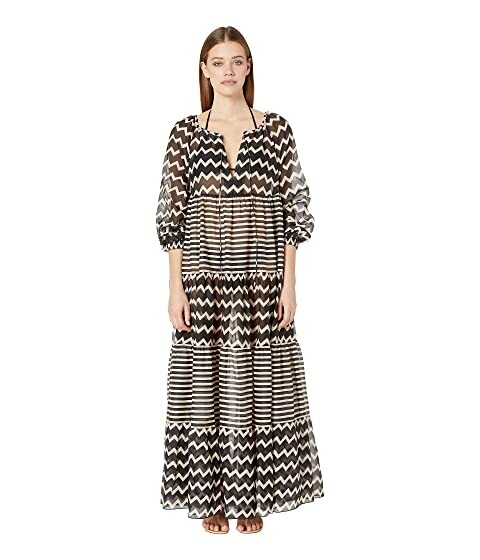 We can't currently find any similar items for the Drawstring Tunnels Long Dress Cover-Up by Stella McCartney. Sorry!